Facebook's New Privacy Controls - Explained. Facebook’s New Privacy Controls – Explained. At a press conference, Facebook CEO Mark Zuckerberg has just announced brand new privacy control features for Facebook.com. After a lengthy description of the various hurdles the company has experienced during its rapid growth, today Zuckerberg announces new privacy controls aimed at simplifying the experience. First, we’ve built one simple control to set who can see the content you post. In a couple of clicks, you can set the content you’ve posted to be open to everyone, friends of your friends or just your friends. This control will also apply to settings in new products we launch going forward. So if you decide to share your content with friends only, then we will set future settings to friends only as well. This means you won’t have to worry about new settings in the future. This single control makes it easier to set who can see all your content at once, but you can still use all of the same granular controls we’ve offered if you’d like. Second, we’ve reduced the amount of basic information that must be visible to everyone and we are removing the connections privacy model. Now we’ll be giving you the ability to control who can see your friends and pages. These fields will no longer have to be public. The controls for this basic information can be found at the top of the privacy page in Basic Directory Information. We recommend that you make these settings open to everyone. Otherwise, people you know may not be able to find you and that will make the site less useful for you. Third, we’ve made it simple to control whether applications and websites can access any of your information. Many of you enjoy using applications or playing games, but for those of you who don’t we’ve added an easy way to turn off Platform completely. This will make sure that none of your information is shared with applications or websites. Facebook will be rolling out these changes to all of you over the next few weeks. 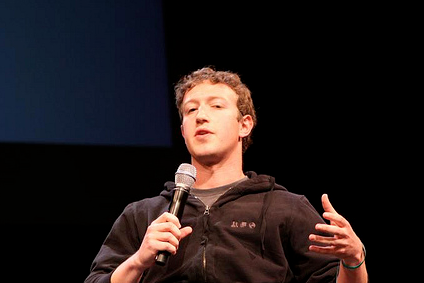 Zuckerberg says that assuming these changes are well received they will remain the same for as long as possible. A full break down of the changes are now available on Facebook here. Read next: Facebook's New Privacy Controls Hit The Mark - Crisis Averted?